More than 19 million Americans run 100 days or more per year, according to the Sporting Goods Manufacturers Association. Chances are that at least few thousand of those millions run to drop a few pounds. For many, the weight loss never happens. How can it be that an activity that burns so many calories has such a negligible effect on weight loss? Because people do a lot wrong. Most distance runners smartly follow a training protocol that has them running most of their miles at a relatively low effort level. Doing so helps them log more weekly miles without putting too much stress on the body. It can also help them better use fat as a fuel source. What it does not do, however, is burn a ton of calories. 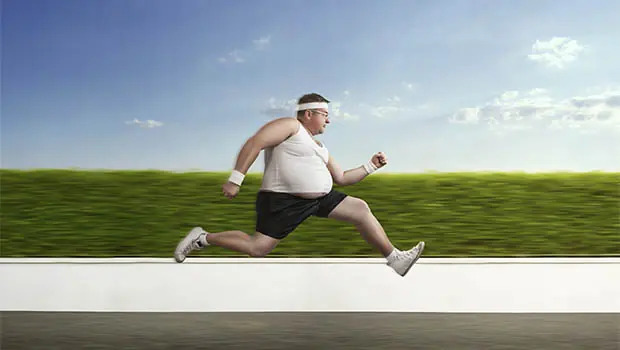 If your primary reason for running is weight loss, then it can actually be a good idea to break from conventional wisdom and run at a faster pace. Running at 70 to 75 percent of your maximum heart rate feels only slightly more challenging than running at a slower pace, so you should be able to run for the same duration while burning 10 to 20 percent more calories. If you're training for an upcoming race, you won't want to ditch the slow miles completely. You can amp up the calorie burn by adding speed or incline intervals to each of your runs. As long as you keep the bulk of your miles in the easy zone, you should recover quickly from your runs and be able to hit your weekly mileage targets. Adding even 5 to 10 minutes of fast running into each workout can boost your calorie burn. Another common tendency among runners is to run a lot. If weight loss is your goal, you might take this even further, thinking that if you run enough miles each week, you'll automatically burn enough calories to lose weight. But then you get injured and can't run at all. We've all pushed our weekly mileage or our pace beyond our limits and suffered an injury as the result. An injury can be doubly disastrous if you're trying to lose weight. Not only are you not burning any calories while you're injured, you're probably feeling frustrated and depressed about it, which can lead to emotional eating and drinking. It's much better to run slower and shorter than to not run at all. Neither weight loss nor improvements in running performance will happen overnight. Be patient and take the long view. By slowly building mileage and increasing speed, you'll gradually be able to burn more calories each week while minimizing your risk for injury.